Today I enjoyed lunch with a friend at the Dokhaima Cafe, Patan Dhoka, Patan. Traditional Nepali daily fare–but extra delicious. 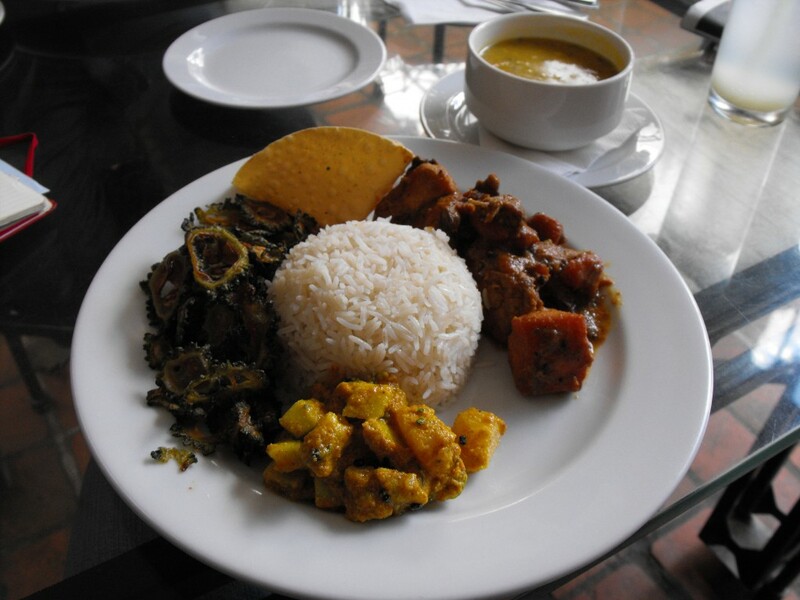 From the top, around the rice: a crispy poppadum, dry chicken curry, alu achar (potato pickle), thin fried slices of bitter gourd, and in the bowl on the top right, yellow lentils.